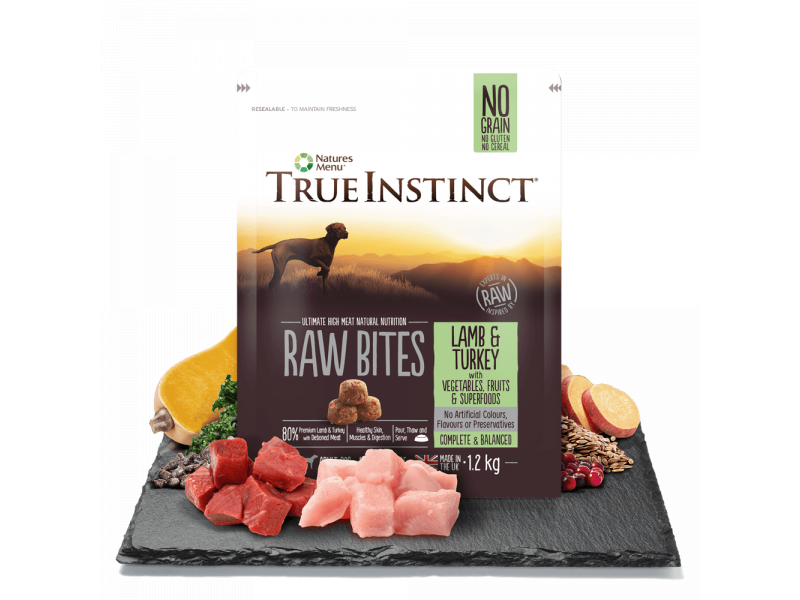 Raw complete & balanced, selected Beef Bites for medium / large adult Dogs, made with 80% premium beef and deboned beef meat. 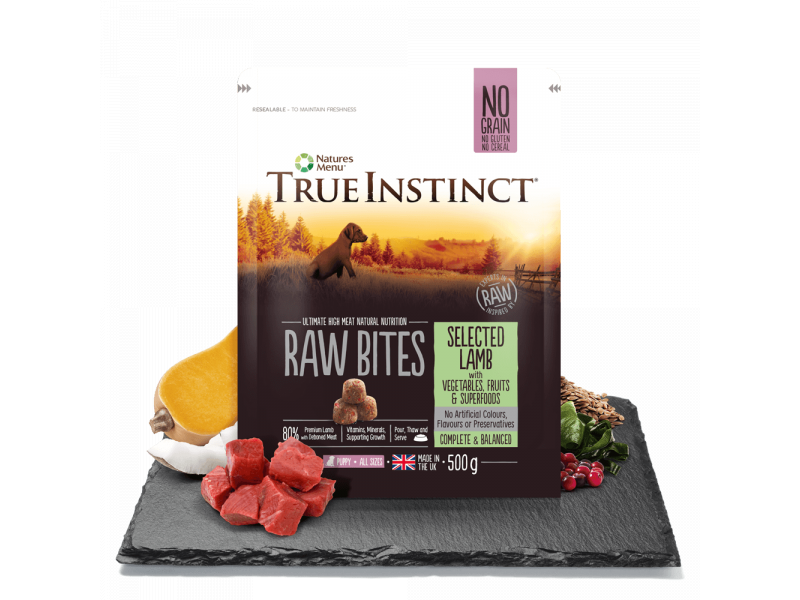 Balanced with 20% carefully selected vegetables, fruits and superfoods such as sweet potato, butternut squash, peas, cranberries, kelp and kale. 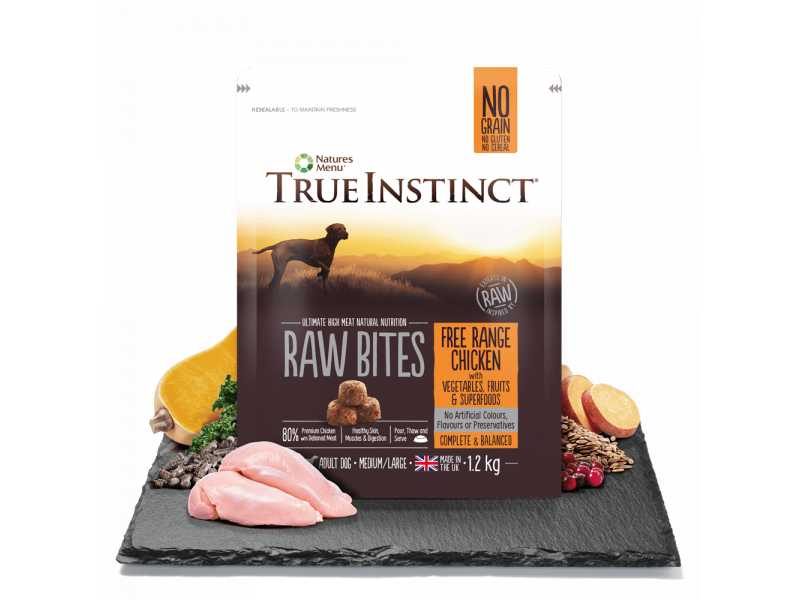 Protein 12%; Crude Oils & Fats 10%; Crude Ash 3%; Crude Fibres 1.5%; Moisture 66%. 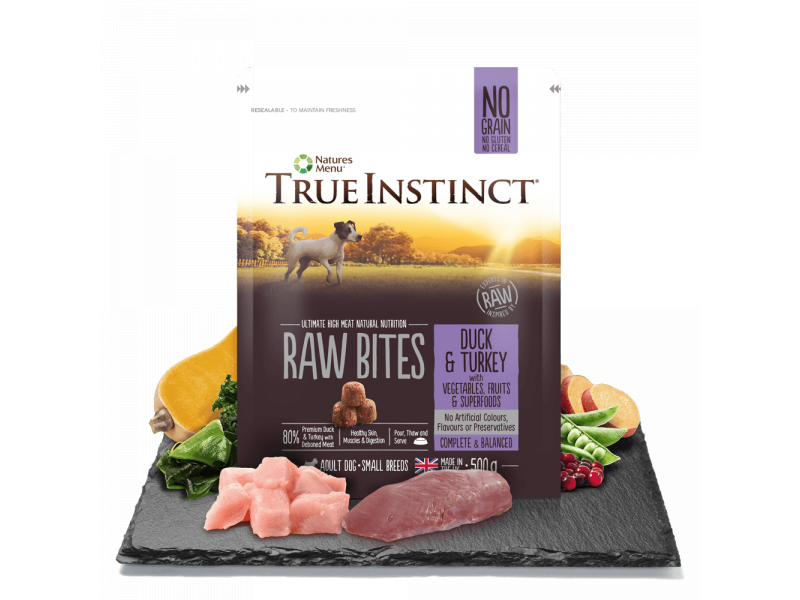 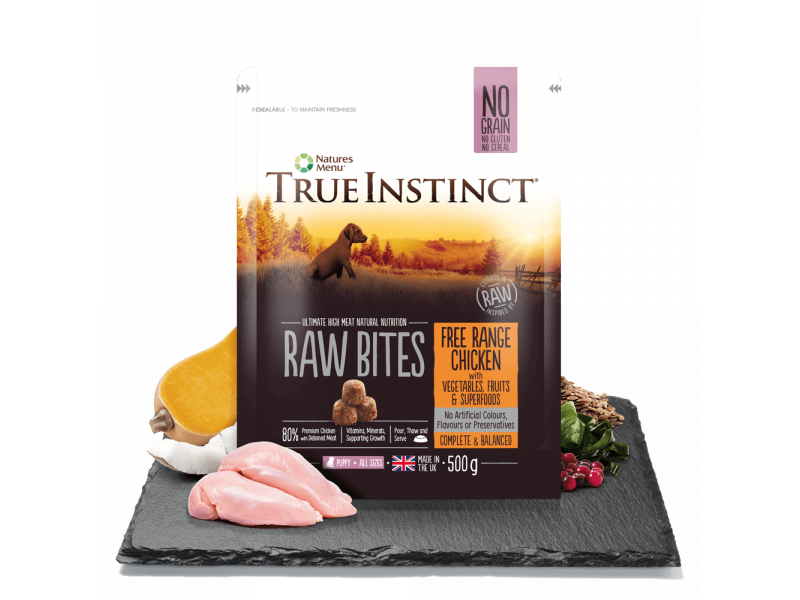 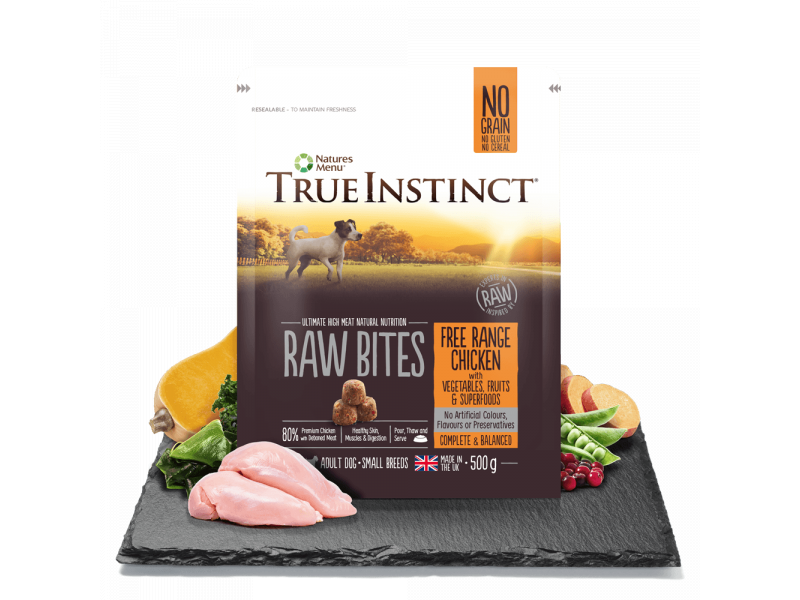 There are currently no questions for Natures Menu True Instinct - be the first to ask one!